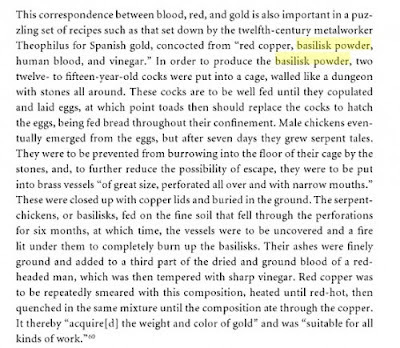 Thanks to a tip from io9.com the Frugal GM found this excellent Smithsonian article on the Basilisk. The article goes into some of the background on the Basilisk story and then goes into detail on a well-documented 1587 Warsaw Basilisk hunt. The article is great fodder for a game session and it even gives a possible use for a Basilisk corpse. 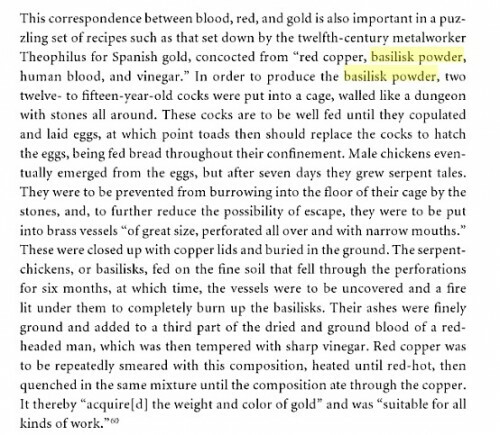 Evidently it was possible to make something called "Spanish Gold" by mixing Basilisk Powder (Ground up Basilisk), Copper, Vinegar, and Human blood. Of course the recipe is convoluted and not quite what most adventurers would be in the market for, but how many PCs would try to track down a Basilisk as part of a get-rich-quick scheme? 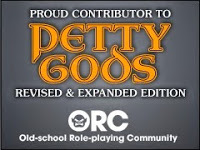 Even if the party isn't in for it, maybe the antagonist for you adventure is. There are a lot of possibilities here, and all from a historical reference. I bet there are a lot of similar golden ideas (pardon the pun) from history.